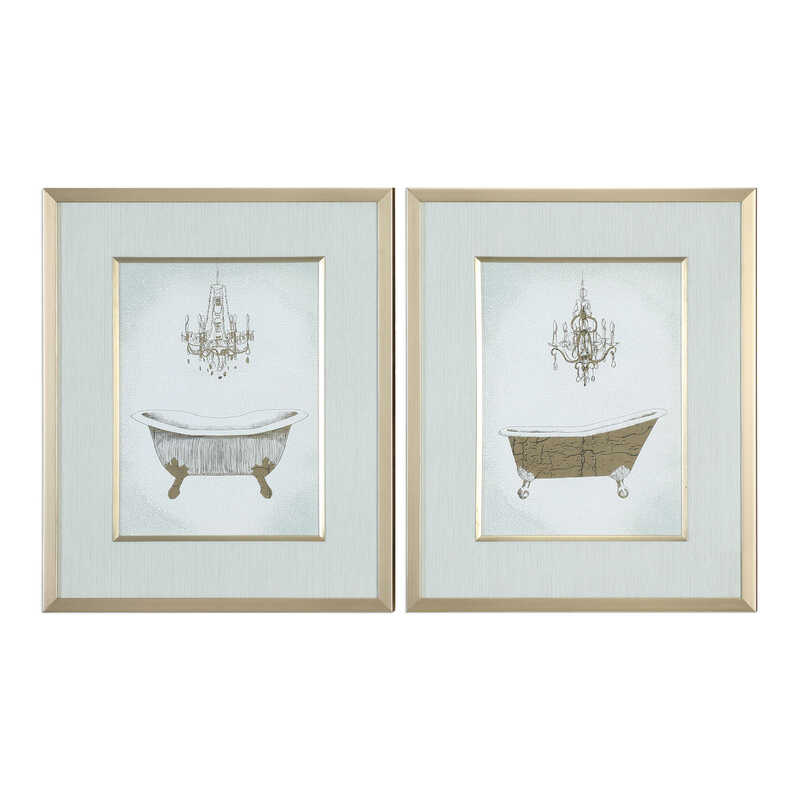 Sophisticated glamour emanates from these green and gold prints. Each print is accented by light green-cyan striated wallpaper mats with hints of gold, silver, and gray. 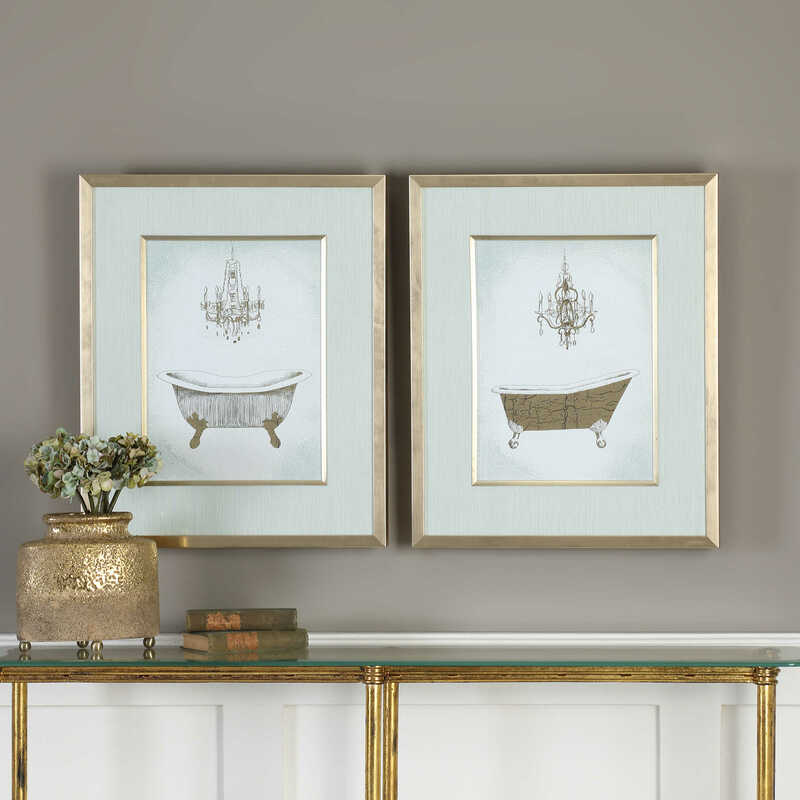 Gold leaf frames with matching fillets complete each piece. Each print is placed under protective glass.